Do you consider yourself a person that can kill a plant simply by looking at it? 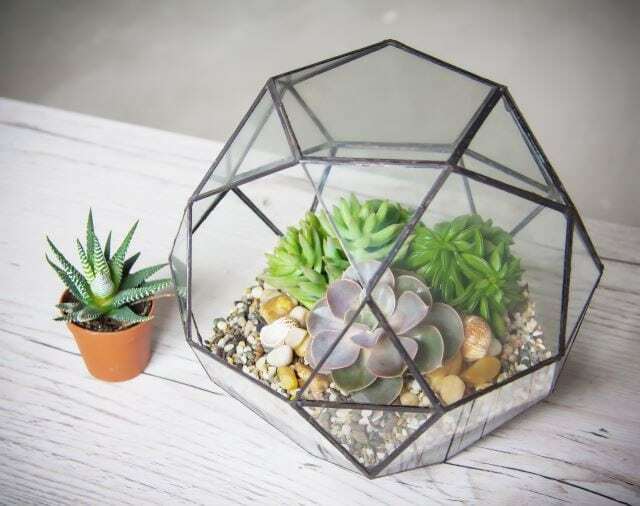 I assure you that this is impossible no matter how much bad luck you have had with your plants and that if you are still insistent on giving living greenery ago, you may want to try your hand at a terrarium. 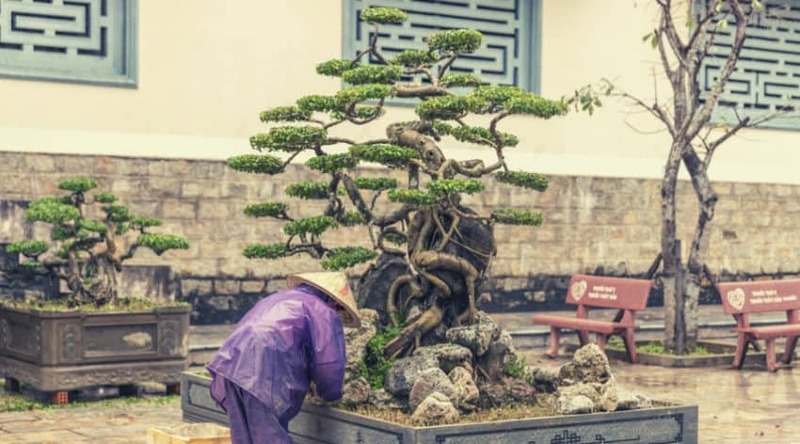 These easy to create, self-contained ‘gardens’, are simple to maintain, and are an awesome way for a beginner to gain confidence in their care of plants. 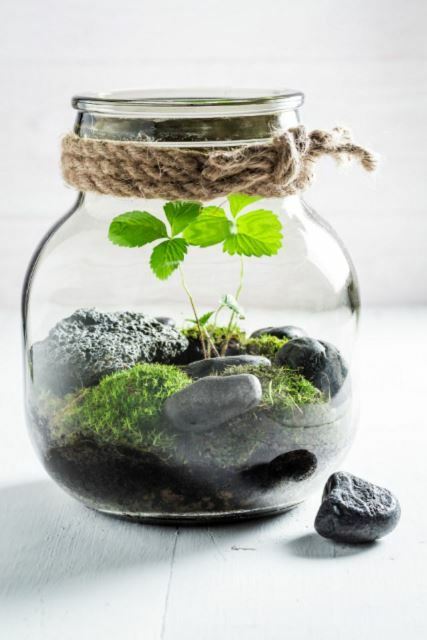 Even if you are an expert when it comes to maintaining vegetation, terrarium ideas are a fun way to add new plants to your collection and have a burst of green throughout the year. 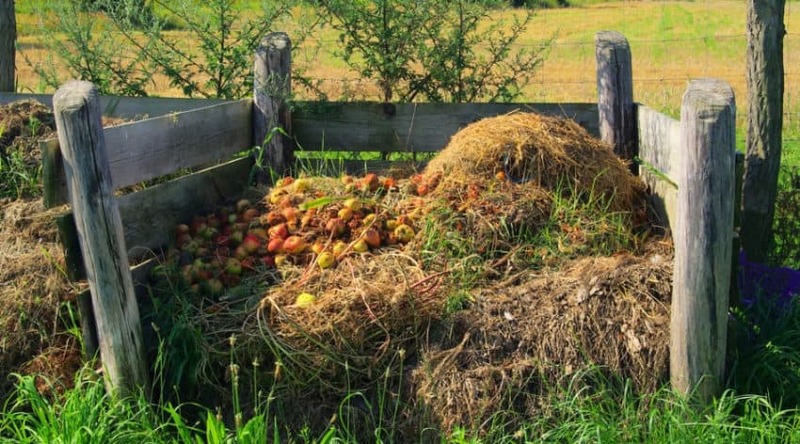 I personally find them fun things to build with my kids to give as gifts, and they currently are amazed at how self-sustaining their own little ‘garden’ has become. 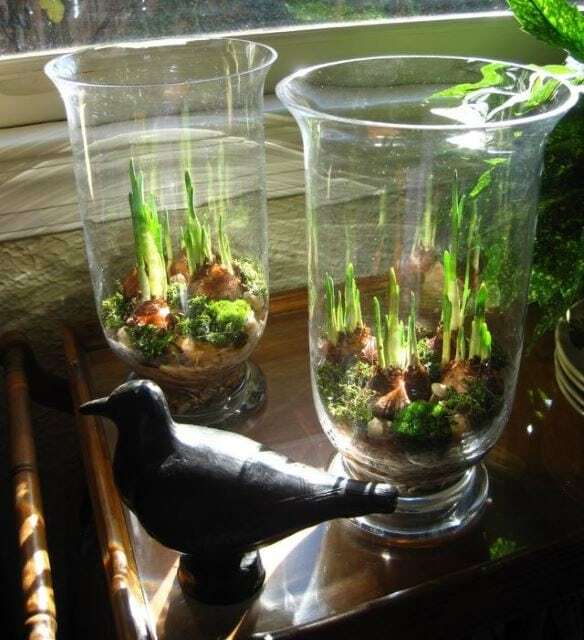 The following terrarium ideas are all easily obtainable with the correct materials and a little ingenuity. 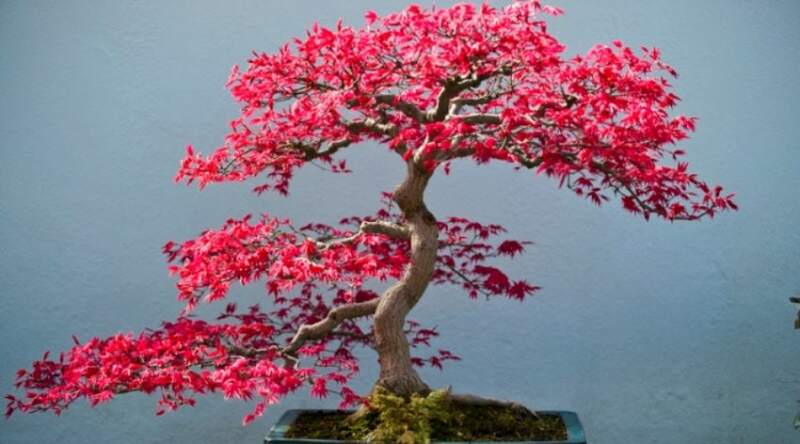 They bring a bit of the peace of the garden indoors for year-round enjoyment and are a great way to influence a calming environment. 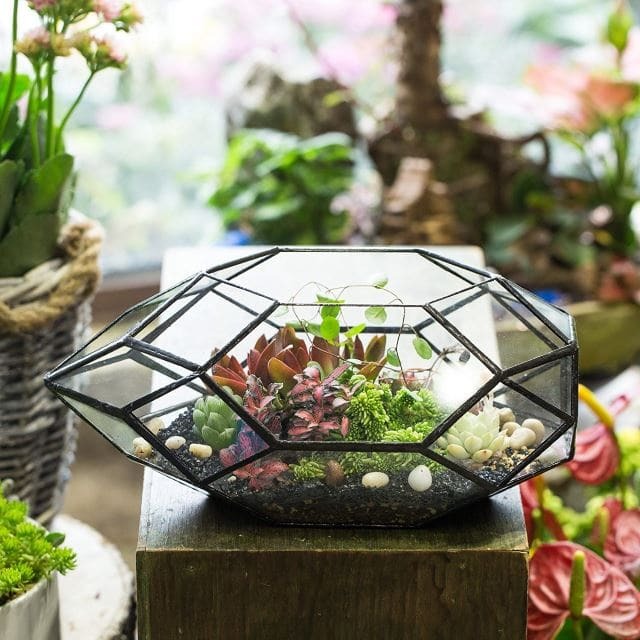 A terrarium should be your own and reflect your own personal tastes in design once they have been completed. 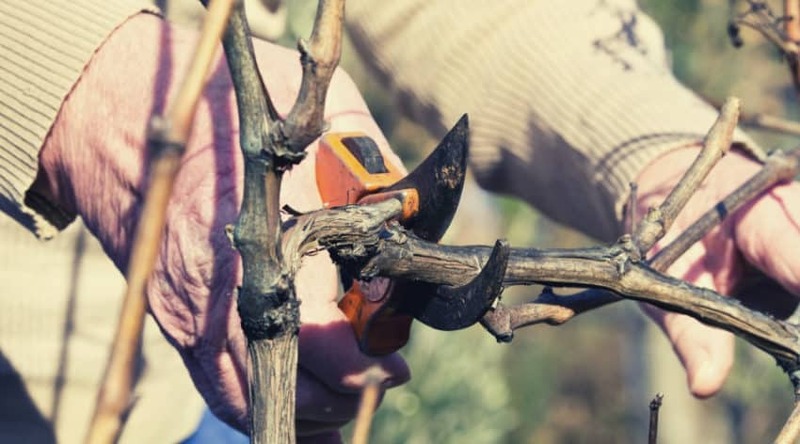 To get started, you’ll want to find either an open or closed glass container of some sort. You’ll also always want to provide a thin layer of pebbles along the bottom to allow for drainage, and then layer on top with activated charcoal to keep your water fresh and to avoid build-up of molds and bacteria. On top, you will layer with your potting mixture- just be sure to choose what is best for the plants. For example, there are special mixes for cacti that may differ from a moss or succulent. 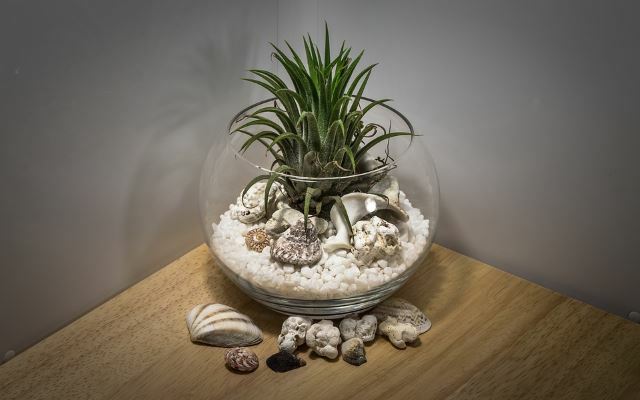 Air plants are a favorite for open terrarium design ideas as they require little to no care and can be placed in almost any substrate to grow within. This adorable kit is a fun way to spend the afternoon with children or even give as a unique gift. 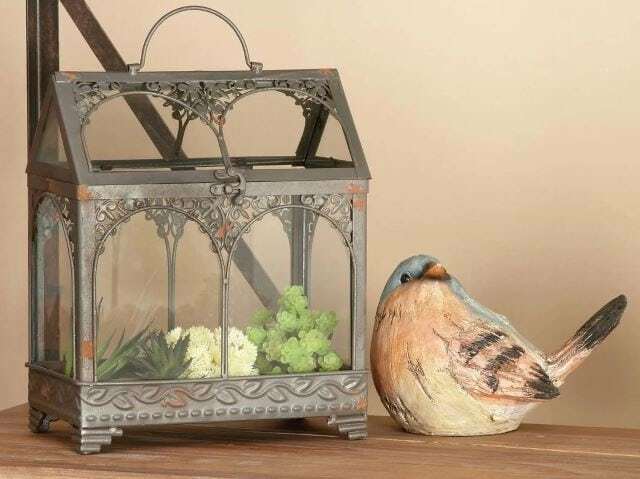 This iron stand and delicate glass globe is the perfect container to start your very own miniature garden. This is the perfect size to place on a desk at work to brighten an office space or just let it sit on your bookshelf at home. 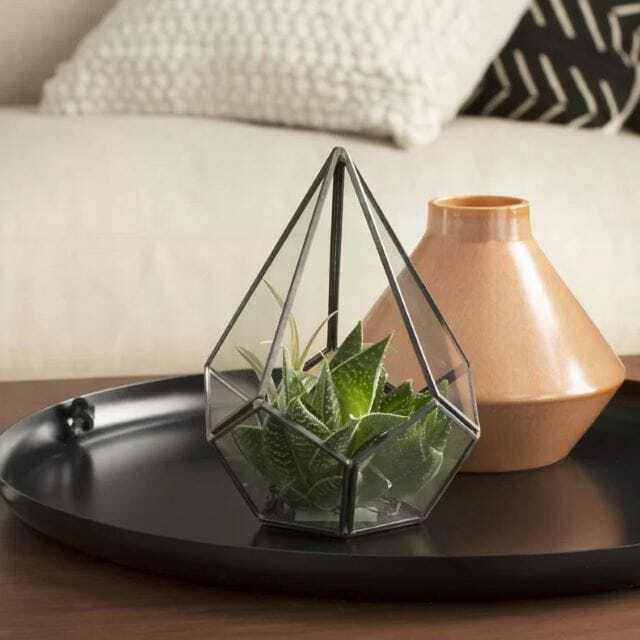 Unique in shape and size, the pyramid shape of this container is reminiscent of a stained glass construction to provide the perfect container for your favorite succulent, micro greens, or air plants and other miniature accessories. The Victorian-inspired design of this container is wholly unique and perfect to allow the imagination to run wild. The spacious growing area holds many possibilities, and can easily be home to multiple plantings. Although these particular teardrops hold their own artificial gardens, these ideas are well worth noting. Colorful rocks and simple succulents are all you need to recreate this look. And when hung together, you can provide a dazzling image. 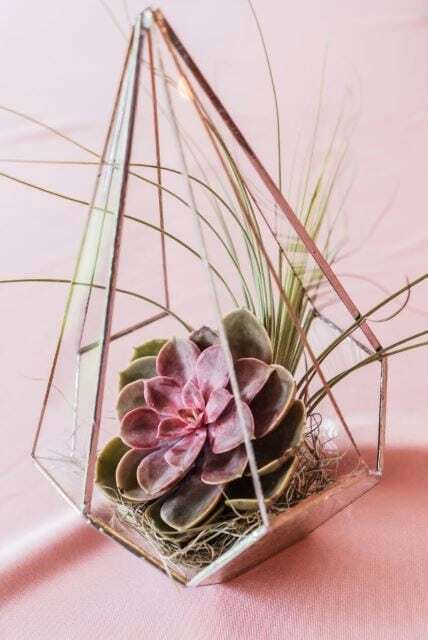 The delicate look and unique design of this terrarium/vase allows for multiple purposes. 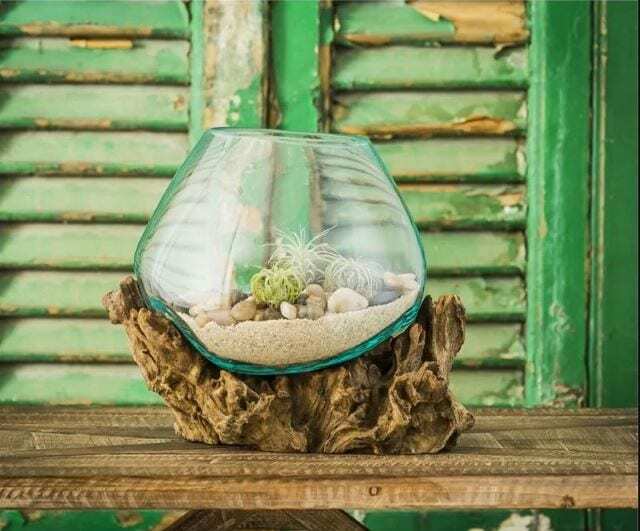 The glass globe is easy to lift from the wooden base for cleaning or to set at a different angle to use as a case for delicate blossoms, aquatic scene, or terrarium setting. 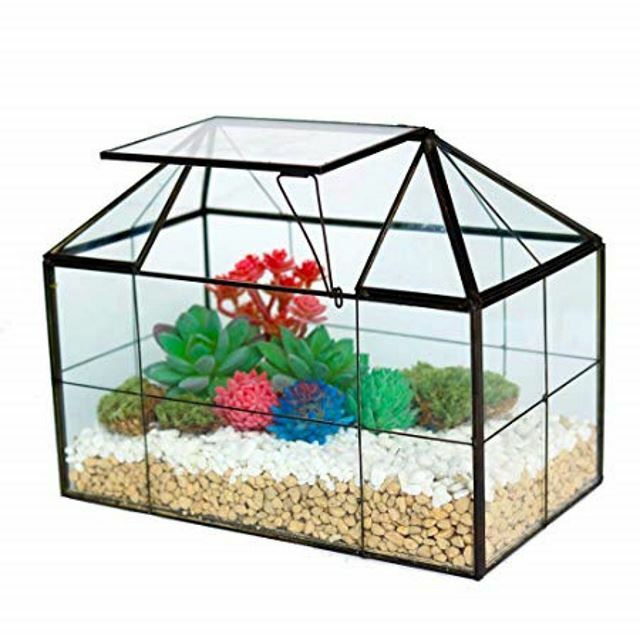 Large, self-contained terrariums such as this are excellent for multiple plants and eventually are self-watering as the plants become established and recycle the moisture trapped within. These are awesome additions to any space and are fun to gaze upon. 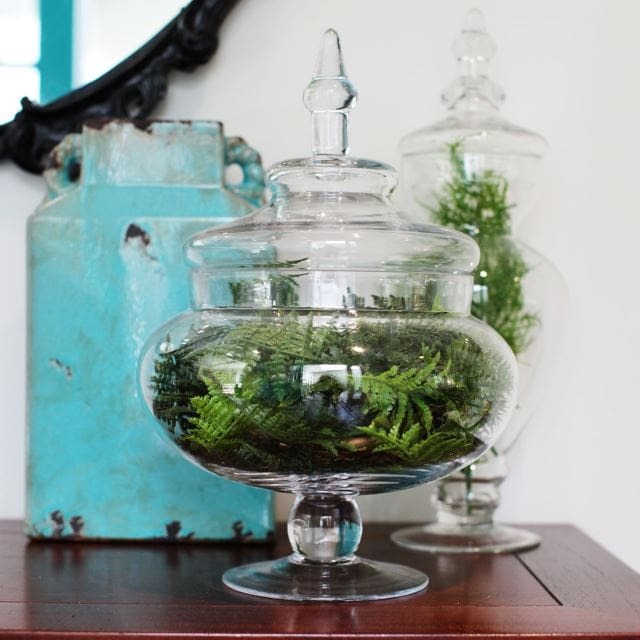 Old canisters, candy jars, and fish bowls are awesome to repurpose as a terrarium. Their unique shapes and sizes work well when placed together or even to add a pop of the unexpected in their display. 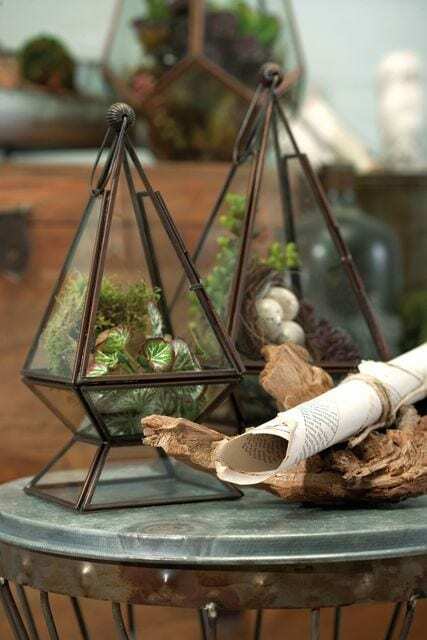 Depending on the type of terrarium you want, you don’t have to limit yourself to creating an enclosed structure. Many plants do well with limited watering and can easily be incorporated into what you might consider a ‘too small’ space to grow free of the opening for even more added interest. 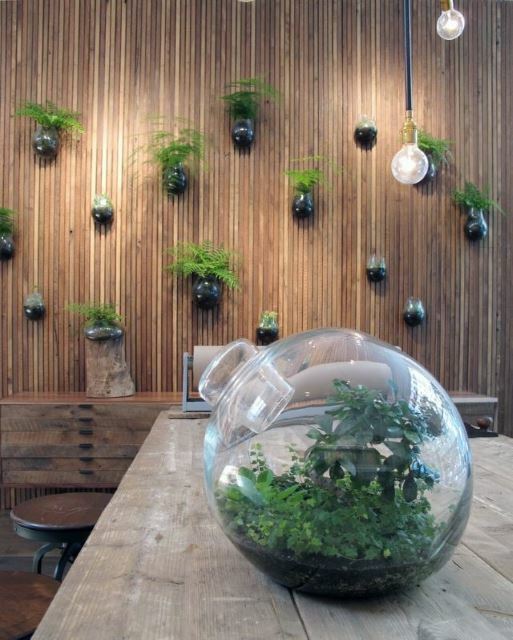 Any space can be easily brightened with living plants. 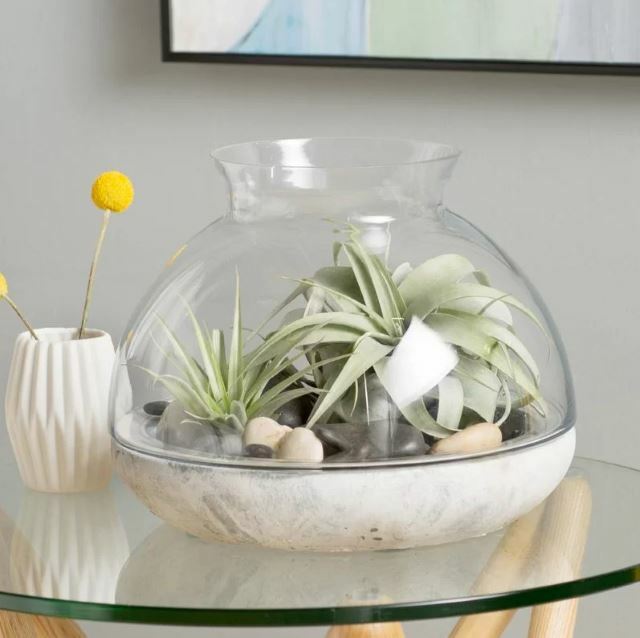 Easily decorate even the most contemporary space with the sleek look of a glass terrarium and your choice of contents for a pop of color in any corner. Truly, one of the best parts about having a terrarium is that you get to have a miniature garden at your fingertips at all times. This makes them a great gift for your favorite gardening buddy. This tiny greenhouse comes complete with a way to prop the roof for moisture venting! A great way to add interest to a tabletop, the size of this choice is also perfect to place on shelves or smaller desks. The irregular geometric shaping of this design provides multi-faucets of copper framed glass panes for awesome interest. The generous size allows for multiple plant textures and colors to take root as well. 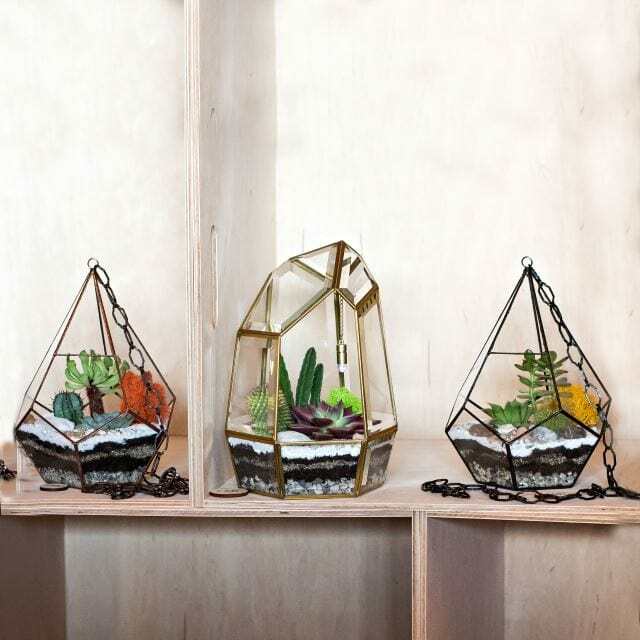 These hanging diamond inspired planters are made specifically for terrarium design. When hung in a window their glass faucets also cast reflections within your room, creating an even brighter environment. Built to last by a reputable terrarium designer, this barrel-roofed casement is made for all season plant enclosure to provide a true, self-sufficient indoor garden effect. 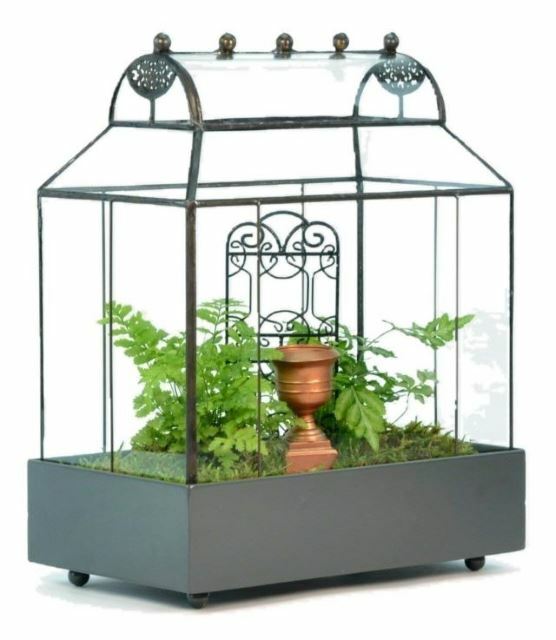 To access your garden all you have to do is remove the glass frame from the sturdy metal base. This narrow glass box is going up in more than one way. With a small footprint, yet almost 12-inch height, this is great to place in narrow spaces. Plus, the hinged lid can be propped up when humidity becomes an issue. 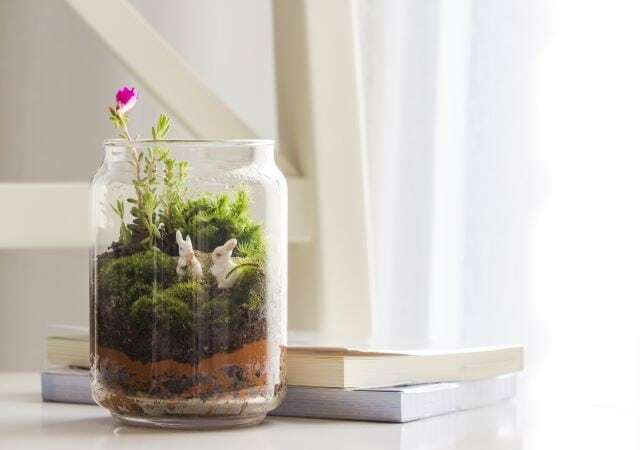 These awesome jars come with everything you need already in place to watch your plant grow and blooms for months to come. 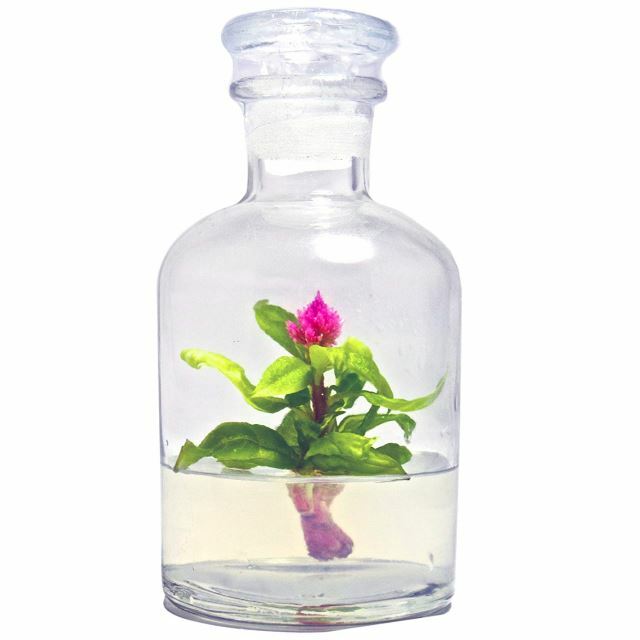 A small flowering plant is set in a clear gel growing substrate to provide all it needs to thrive. 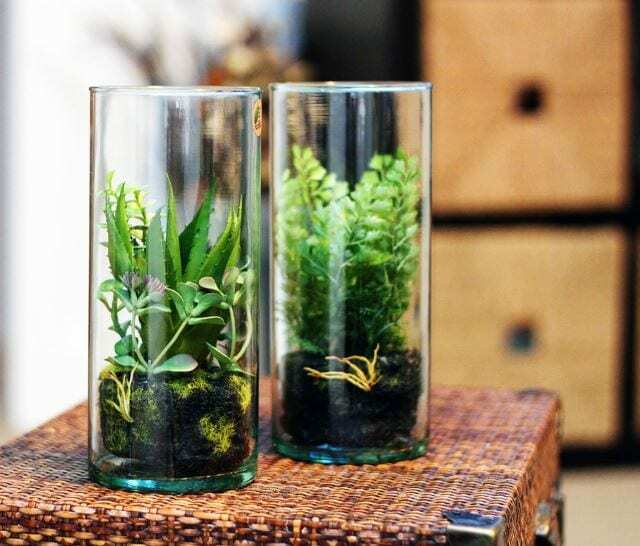 Once done, you can reuse your bottle for even more fun DIY ideas. 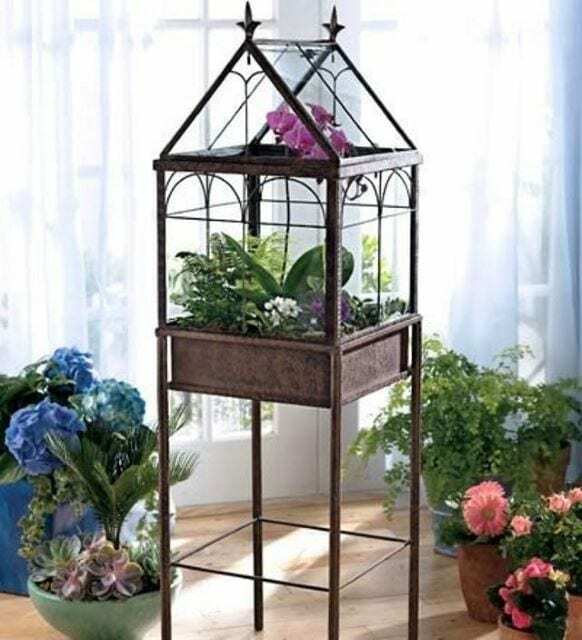 Copper lined glass panes in long, rectangular cuts frame this 6 sided planter that provides a hinged cover for easy breathability. Your favorite plants are sure to bloom and thrive, all which can be easily accessed by lifting the cover off. 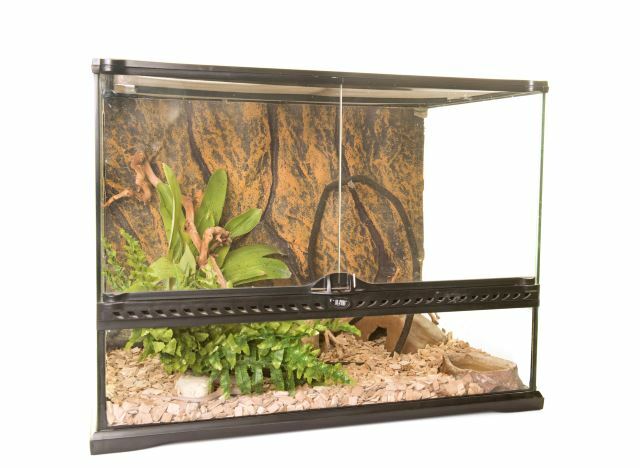 Although not a fully sealed terrarium, this standing case design can be used as a stand-alone for the perfect indoor garden display, or even used with other terrarium collections to showcase your masterpieces. 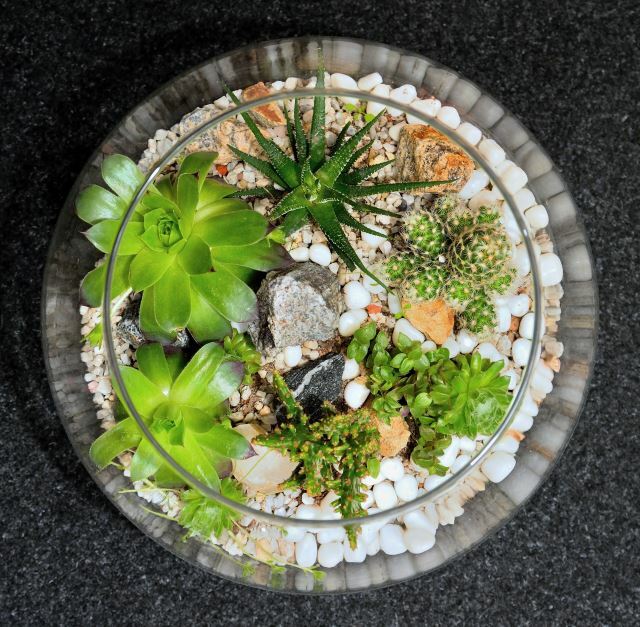 An open bowl is a great way to show off your favorite succulents. 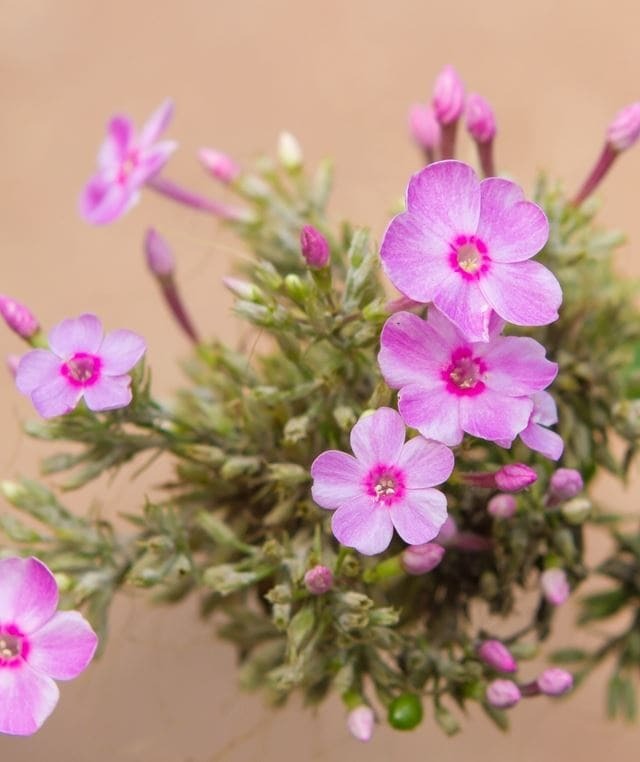 They pair well with cacti and other plants that require very little care and are a favorite to use within homemade indoor gardening containers. Don’t toss those kitchen jars. 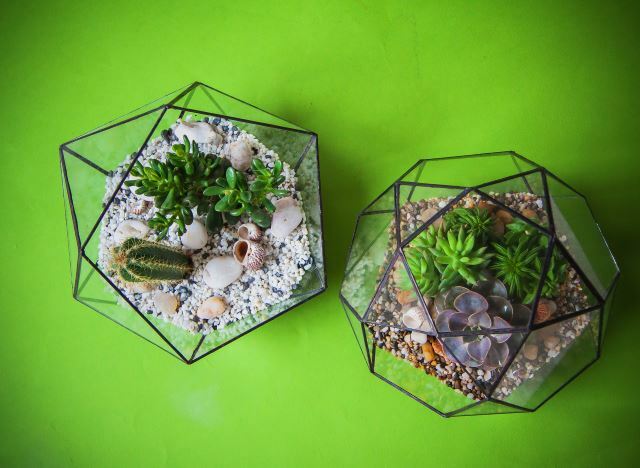 They are great for recycling, or upcycling, in this case into a fun terrarium choice. These are an inexpensive way to make small gifts for your children’s teachers or even as a small housewarming welcome. 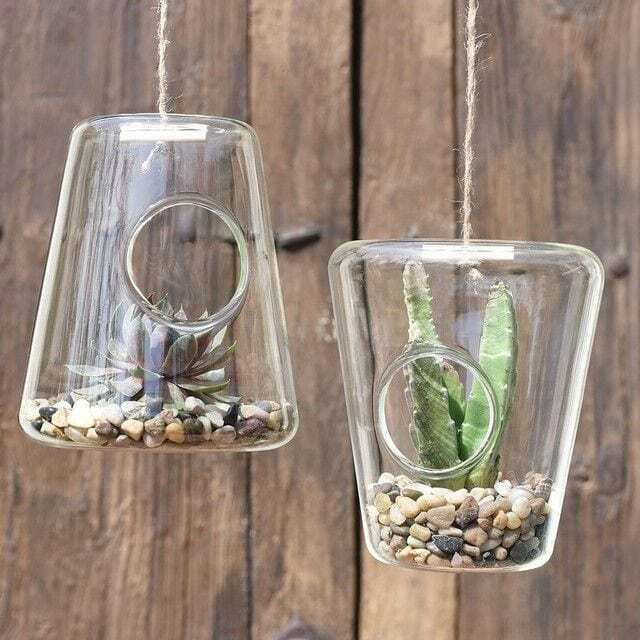 This dewdrop style glass container is a popular one for single plantings as they can be hung with multiples to provide interest to any window. Mix and match designs for even more texture and interest. 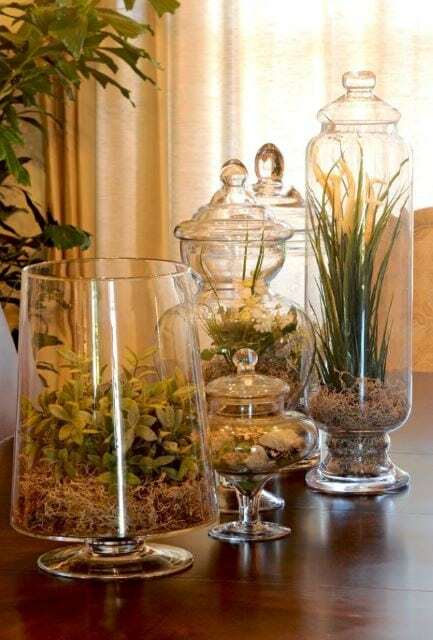 Truly just about any glass container can make a good planting choice. This candy jar and lid combo is a fun way to add some unexpected color and greenery to your countertops. Seal up your favorite jars with bots of twin, ribbon, or colorful threads for added rustic charm. It also adds a personalized touch, and can include a note, or greeting tag for gift giving ideas. 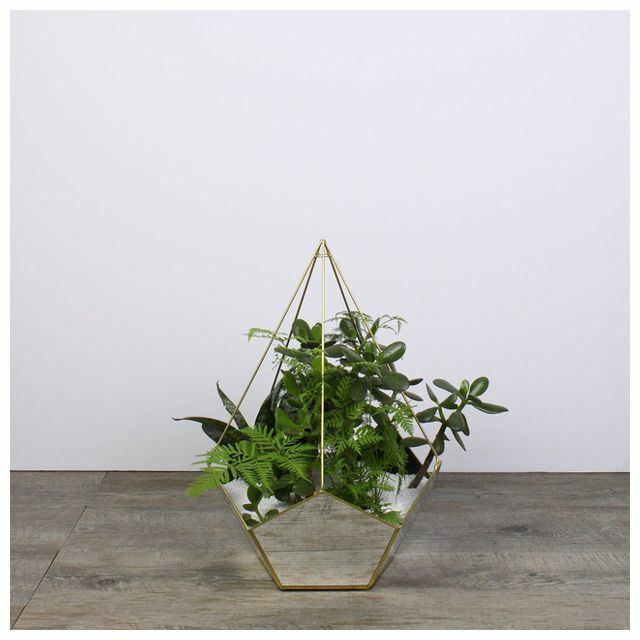 The old playground climber design composed of geometrically spaced pipes and poles is mimicked in this desktop terrarium, a design that is perfect to showcase your favorite small plants 360 degrees. 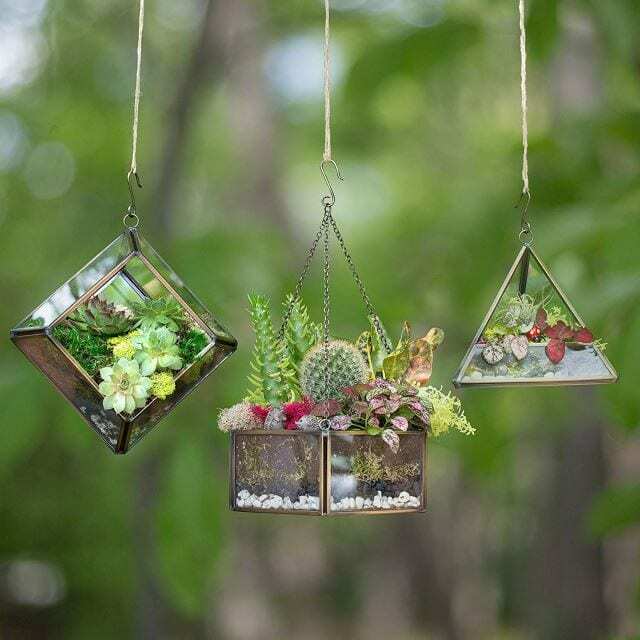 The many geometric shapes and faceted designs showcased here provide you the option to hang or set your favorite gardens on any surface. Displayed together you have a gardenscape worth mentioning. 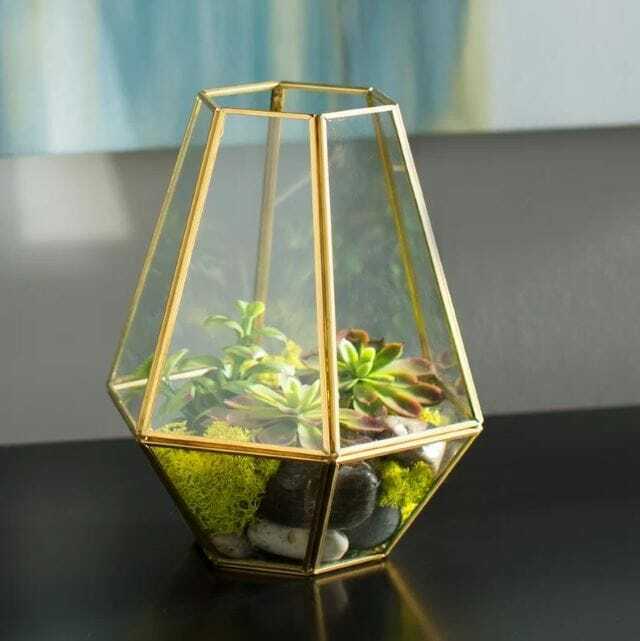 Many terrarium designs look at bit like seascape landscaping and incorporate many of the same colors and textures as what you might find along the coast. Sandy pebbles and a mix of seashells complete the look. Many plants used in xeriscaping type projects can survive without any substrate to be planted within and can survive from occasional misting. 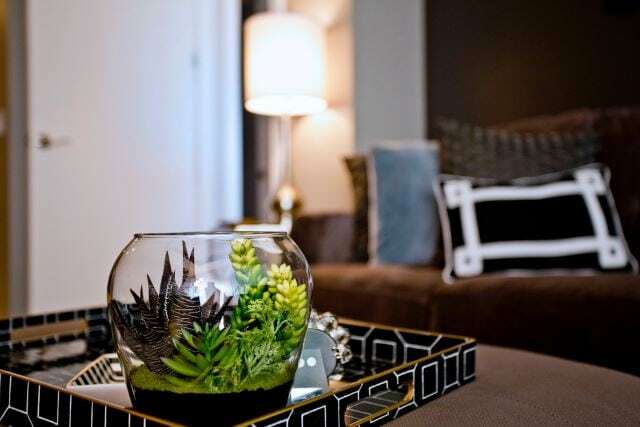 This simple case and choice of plants are perfect when minimizing both care and the desired look. If an enclosed environment is what you want to build within is proving difficult due to your choice of a glass jar, why not look outside the box? This rock could be easily used with another material to provide a decent seal, plus it just looks cool! The customization of this design makes you wonder where the base stops and the container begins. The easy curve of the wood matches the wood chips used within to provide a base to a trailing succulent. 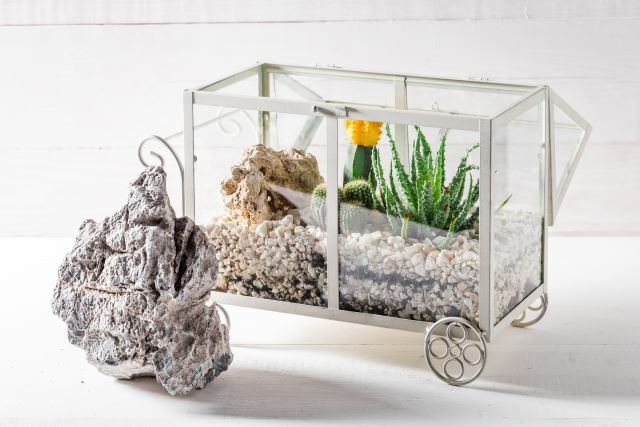 This adorable pushcart terrarium, design boasts cute little wheels and a handle. The top is hinged as well for easy access to your garden goodies. If whimsical and unique is what you are looking for, something like this is a perfect match. Peering into these amazing choices is like looking into an entirely new world. When paired together you have an amazing display of materials upon which to spend hours gazing upon. 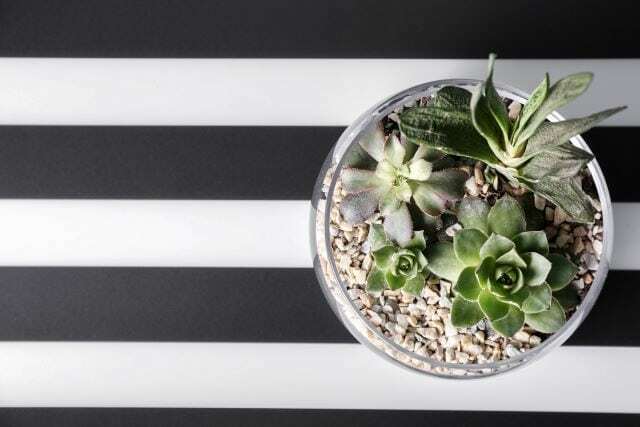 Mix and match the heights of your succulent choices to provide depth and interest from any angle. 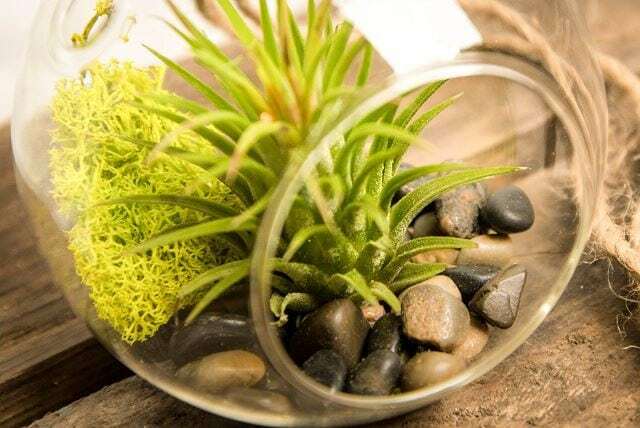 Open top terrariums do require some more care, but these plant choices still require very little maintenance overall. 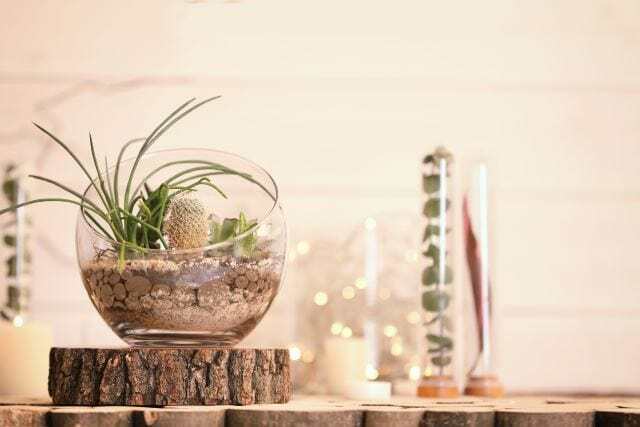 Trifle containers are a perfect way to showcase your favorite plants, decorative layers, and small ornaments that make up your miniature garden design. 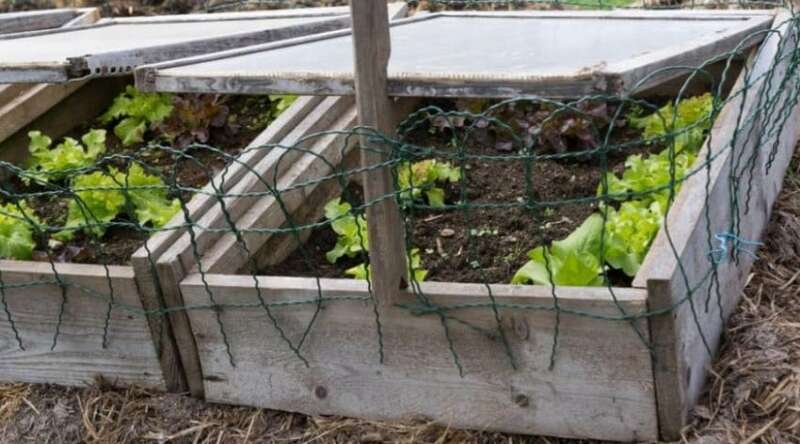 Either leave the top on or take it off to allow for your plants to rise above the opening depending on your plant picks. Favored amongst those who keep certain types of reptiles or amphibians is the creation of natural habitats for their pets. Live plants, running water, and other details native to your critter’s home is sure to bring interest to your house. 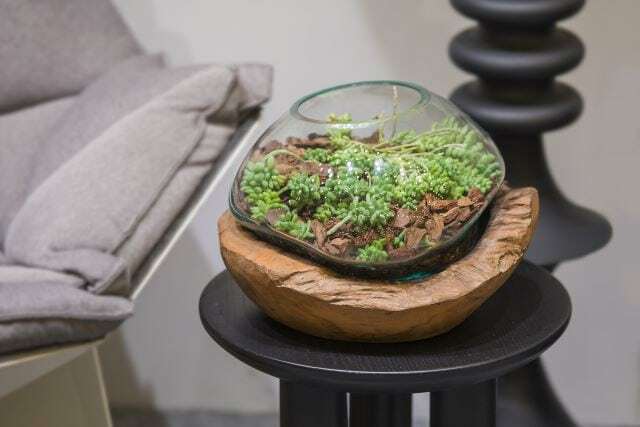 This rounded choice is a perfect addition to your indoor garden spaces. 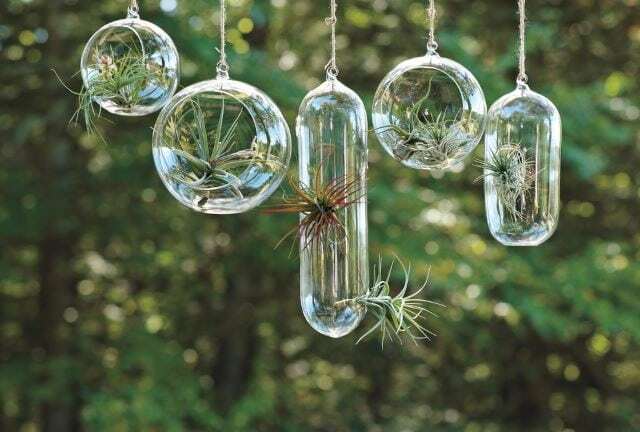 Whether you fill it with trailing vegetation or choose to use simple air plants and rock designs, it should quickly become a favorite in both modern and more rustic decors. The narrow opening of this design takes nothing away from the delicate gold seams and glass panes that gives you multiple views of whatever you choose to fill it with. 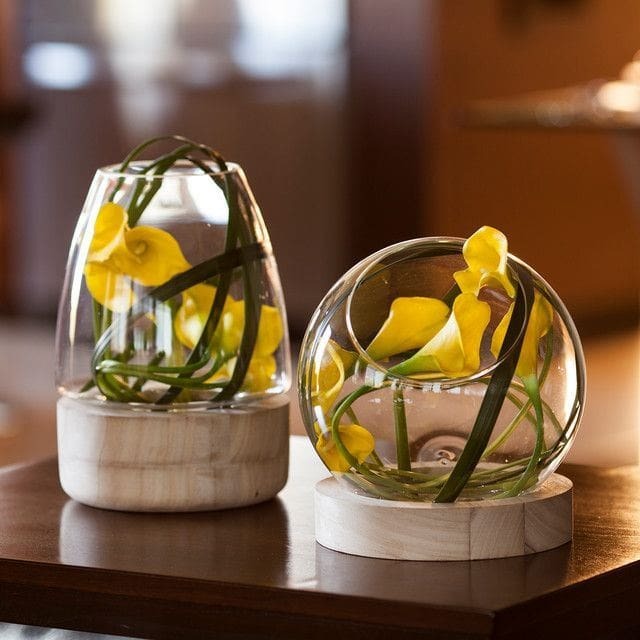 The subtle look fits anywhere in the house and makes a perfect centerpiece for events. The many small panes of glass that make up this gold framed planter are open at the top, but pairs well with others of similar design. 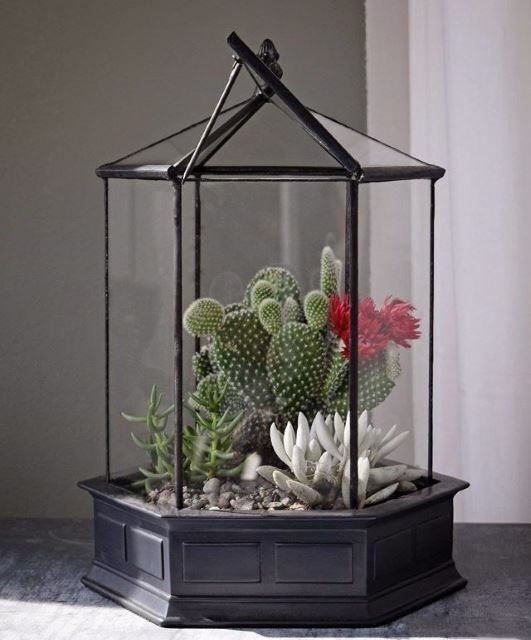 Able to showcase your plants, and even hold smaller planters within, this is a fun piece to add to your collection. 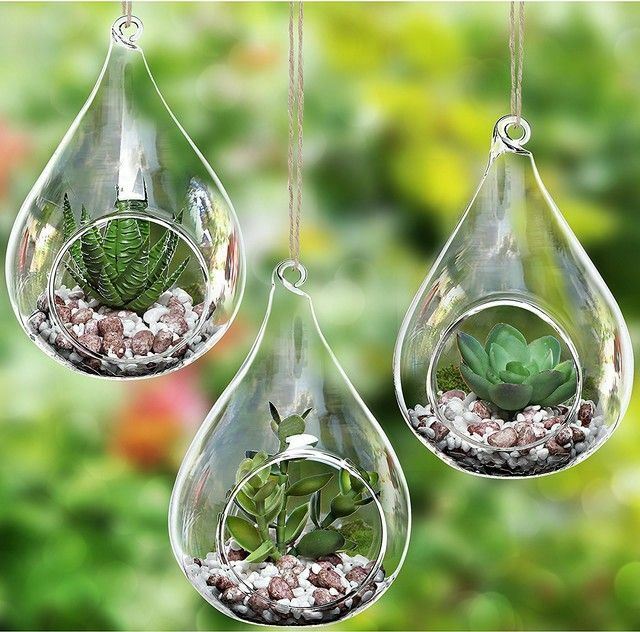 The mirrored glass sides of this choice make it look as if your plants are suspended in air. Whether you use it on a table surface or suspend it from above, it is sure to be an eye-catching addition within your household. 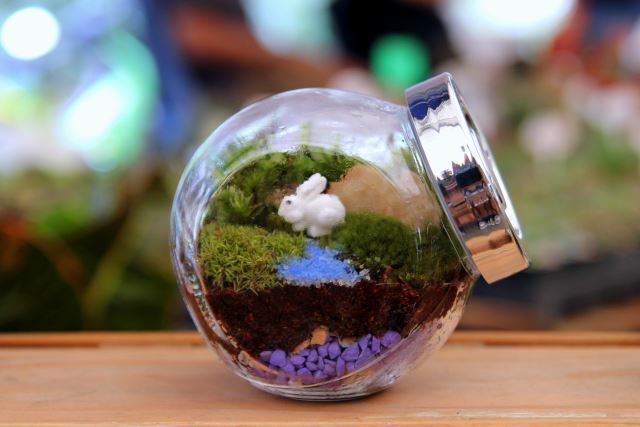 Terrariums truly look amazing when placed within a collection of sorts. This trio of variable-sized choices provide the perfect way to get started with indoor gardening and can show off your favorite small plants and garden accessories. 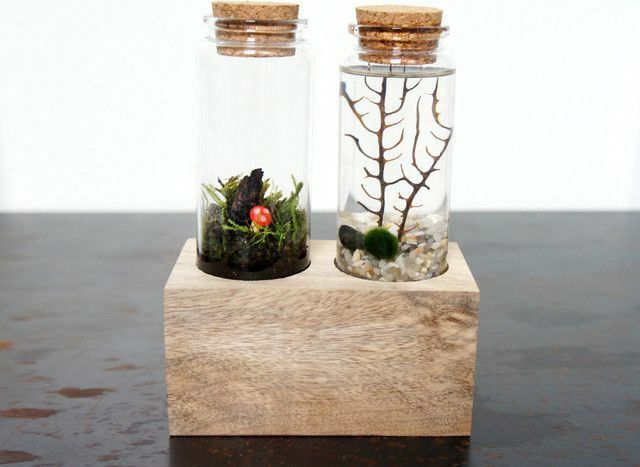 This kit is all you need to have a side by side, land and sea dueling terrarium. These miniature vials are easy to design with the included materials and stand on a stable wooden block for even further interest. 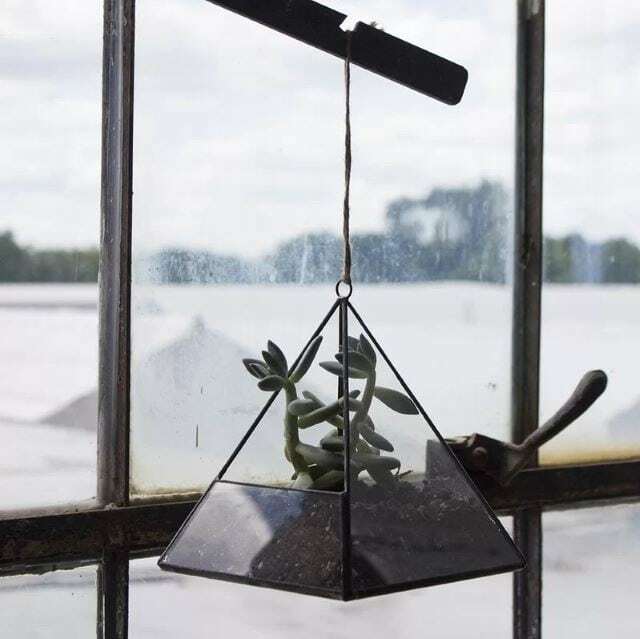 No matter how you decide to show off these cool glass ornament holders, they are easy to design with a simple substrate and the plant of your choice. Perfect for mixing and matching with similar styles, these are a slightly different take than what you are used to. The subtle blue hue of this glass sits within a driftwood inspired base, suggesting it simply just washed up from the sea. Able to hold up to 2 lbs, this is an excellent conversation piece and can hold our favorite plants, and then some. Looking a bit like an upside down the wine glass, the narrow neck of this design allows some airflow, but still provides a great environment for self-contained growth. The perfect size to make a main focal point, it also serves as a great addition to a collection. Globes fit so well into any decor and can serve many fun purposes. 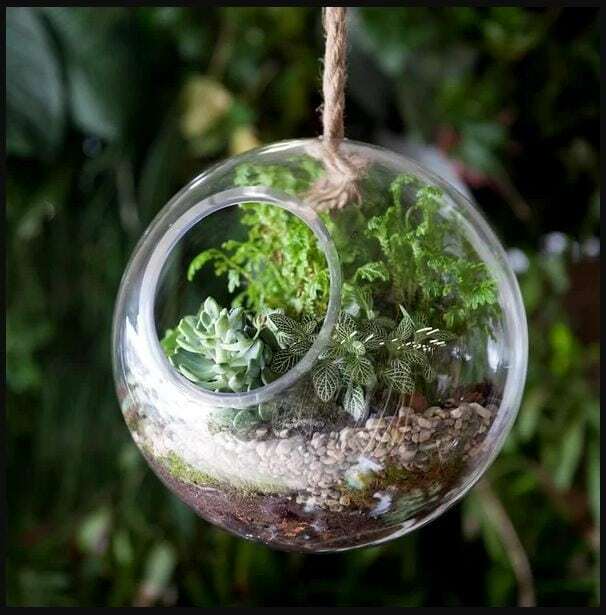 These thick glass globes are perfect for terrariums, or anything else you feel like showing off in a unique style. 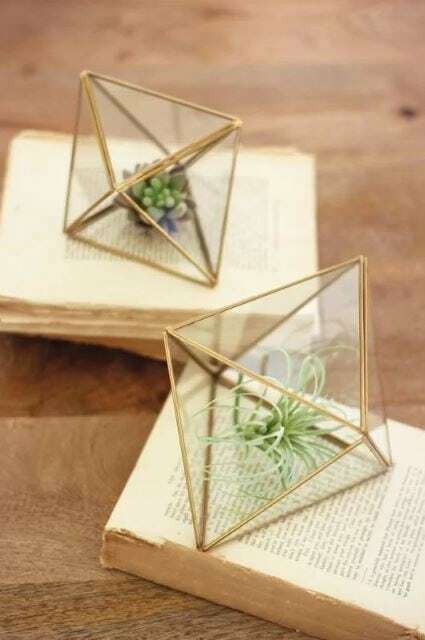 The tiny diamond shape of these decorations is perfect for placing small mementos and plants within. 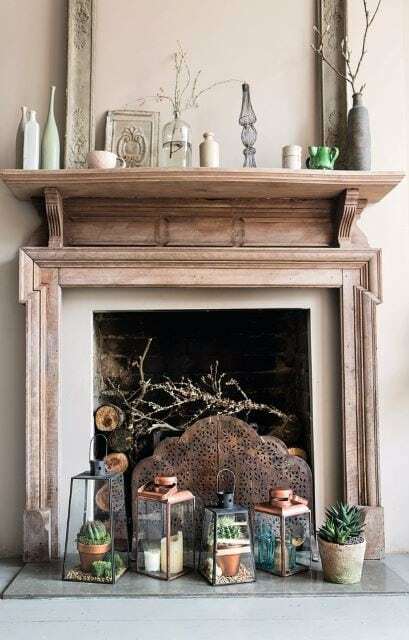 They can be placed strategically around your house as an unexpected burst of plant life, or simply gathered together to showcase what they hold. 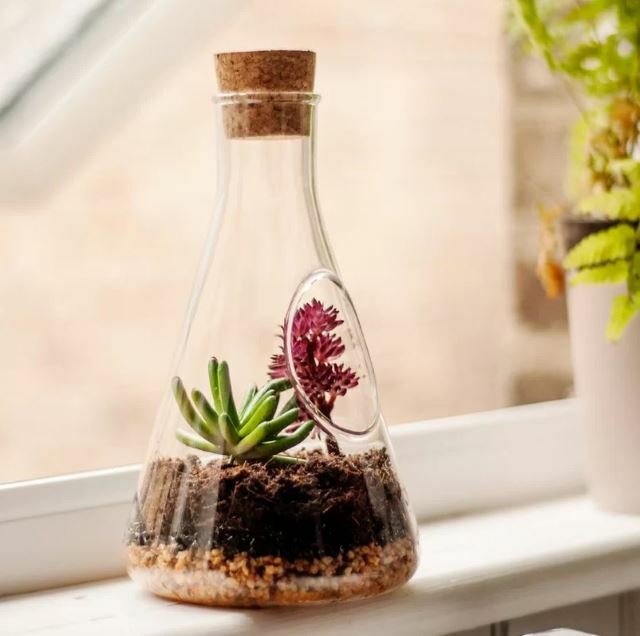 Your favorite science fan will love the design of this chemistry glass made specifically to hold a tiny world within. Gradient measurements are even included on the side, and illustrate the layering found within! The detail that this glass orb holds is exquisite and belays quality in the thickness of the glass and the hardware of the design. 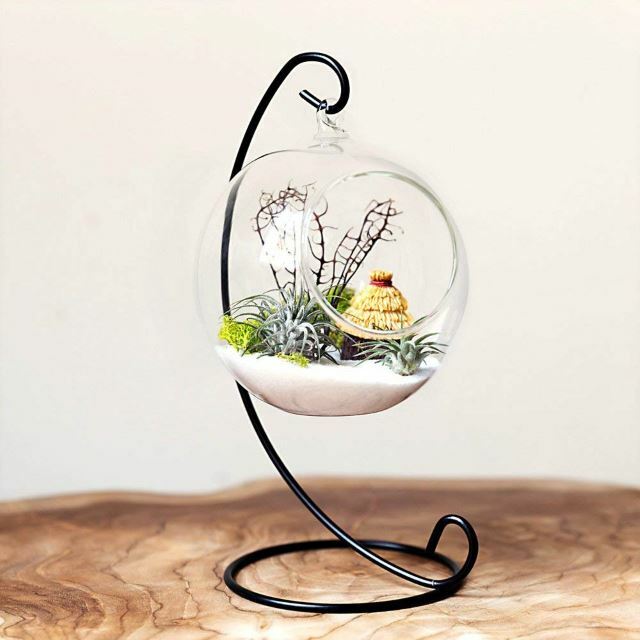 Made to hold your favorite terrarium choices, this is a beautiful piece as part of a stand-alone, or collection. Open designs are perfect for forcing winter bulbs. Once the bulbs are spent you can store them for another season, and then take advantage of the container for even more seasonal decoration, or long-term planting plans. This collection of delicate glass vessels is an excellent way to bring attention and interest to an otherwise dreary space. The reflecting light, touch of vegetation, and gently sway of an air garden are relaxing, to say the least. Giant containers such as these can only be made more wondrous by creating a living garden within. Perfect for the outdoor patio area, deck, greenhouses, and other places you love to relax within, finding one is well worth the effort. 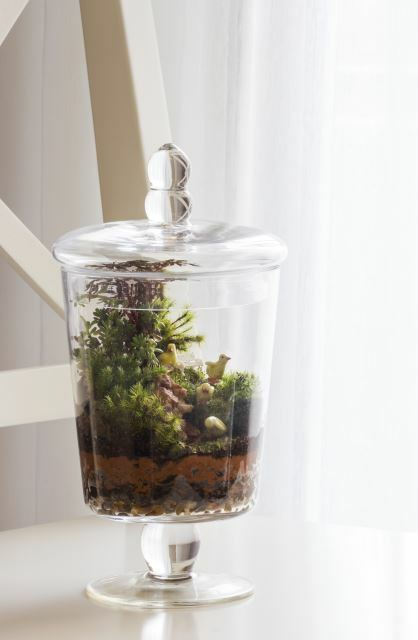 Terrariums seem to look best when they have a ‘buddy’ to pair up with. These tall drinks of water seem to do the trick well and are perfectly paired for the addition of an upright plant or two. 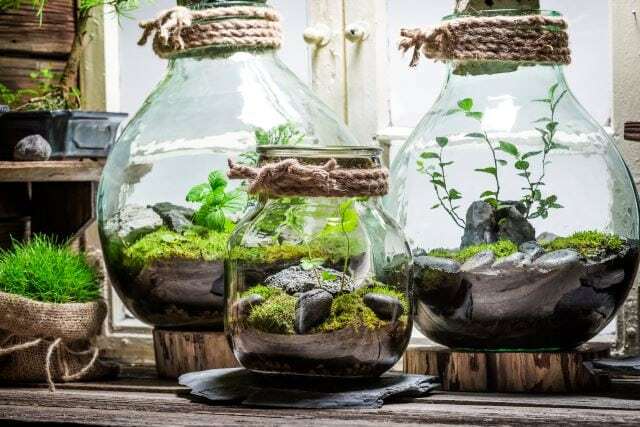 Many of what has been highlighted above are various forms of apothecary jars, as are these- which make the perfect place to build your own garden indoors. You get both the interest of the awesome jar shapes, as well as whatever you choose to place inside. Reminisce about the heat of the desert all winter long as you gaze upon your own desert inspired decorations. 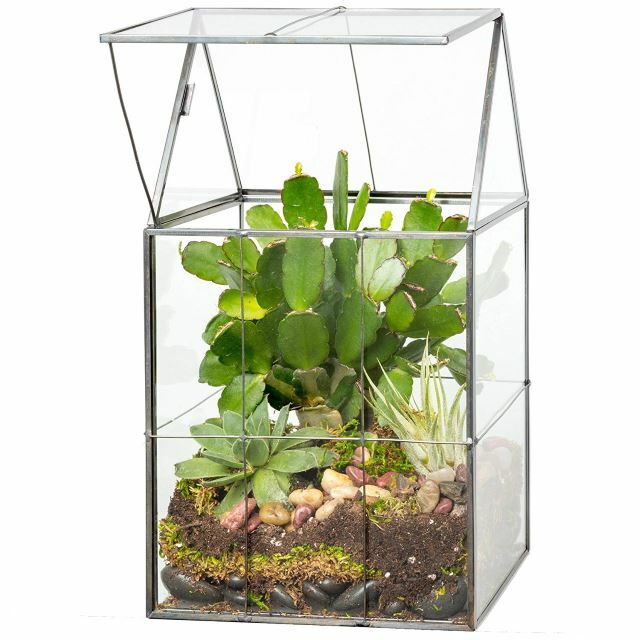 Open glass boxes are the perfect place to plant some small cacti and other various droughts tolerant vegetation. 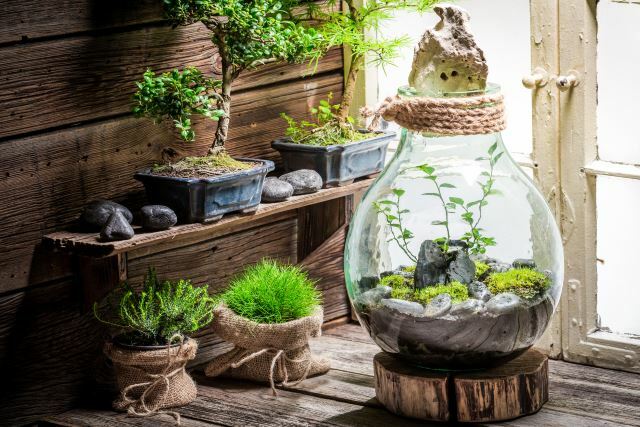 Lantern-inspired vessels seem to take well to showcasing various plants rather than lighting up your space. 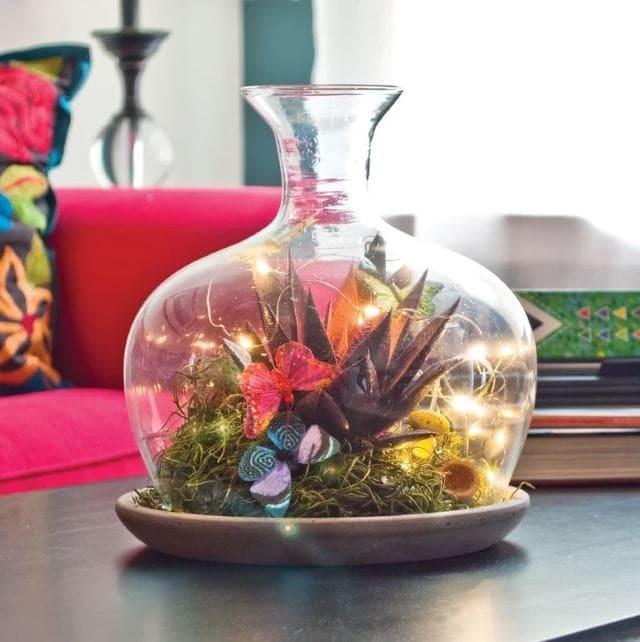 You can, however, add to the experience with fairy lights that would easily fit within. 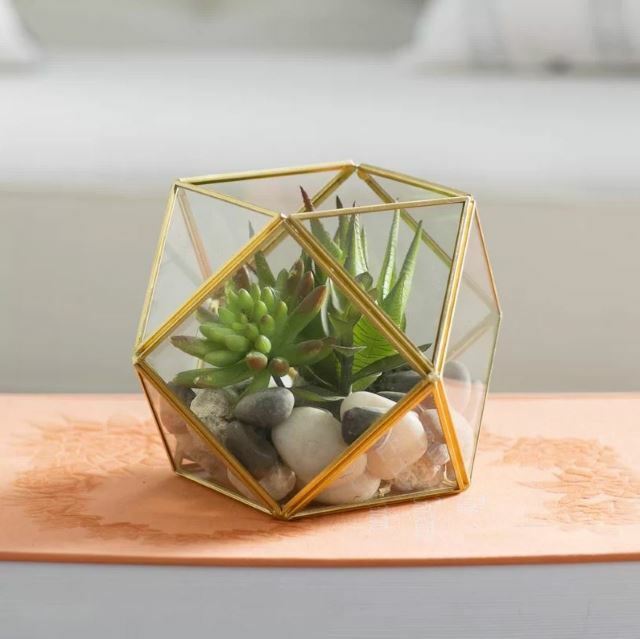 Glass terrariums brighten a space simply due to their design, but when you include favorite plants and small decorative pieces, you are influencing a calming space you can call your own. 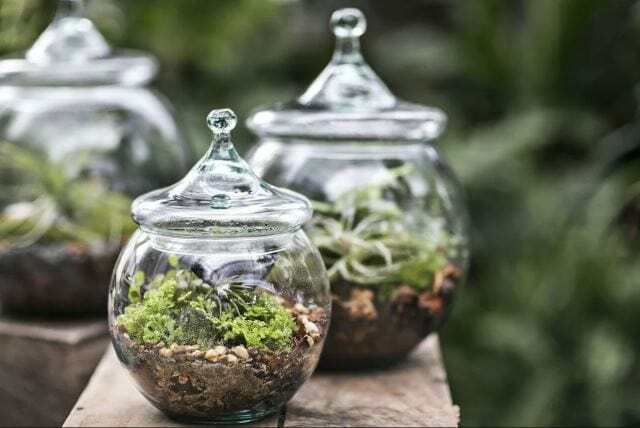 Terrariums are simple to care for and fun to make, plus they make wonderful gifts- and easily become addictive as you’ll want to create a collection once you get started. 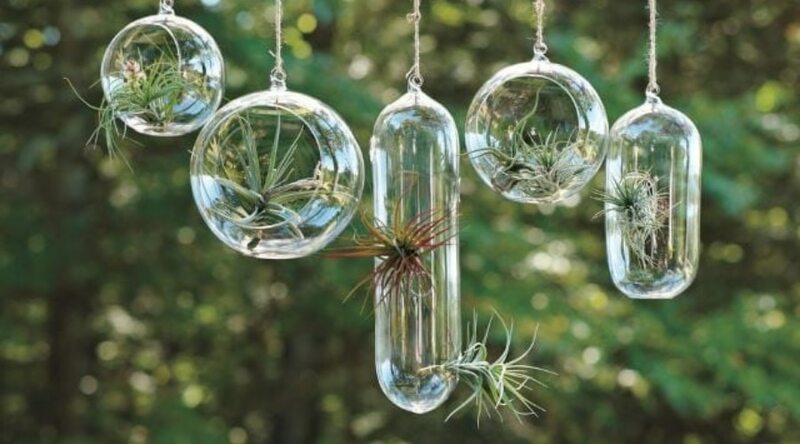 Whether you place them on a desktop, as a centerpiece, or begin your own air garden of hanging teardrops and orbs, you are sure to reap the benefits they can bring. If you have any styles you are most fond of, or pictures of your favorite gardens, we’d love to hear about them below. And, as always, please share! What Is The Best Height To Cut Grass?